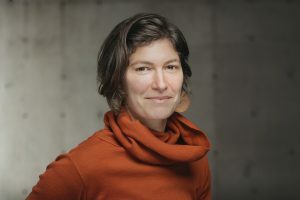 Elyse Fenton is the author of Sweet Insurgent (Saturnalia Books, 2017), which received the Poetry Society of America’s Alice Fay Di Castagnola Award as a manuscript-in-progress, and Clamor (Cleveland State University Poetry Center, 2010), selected by D.A. Powell as winner of the 2009 Cleveland State University Poetry Center First Book Prize. Winner of the 2008 Pablo Neruda Award from Nimrod International Literary Journal, her poetry and nonfiction have also appeared in American Poetry Review, Pleiades, Bat City Review, The Massachusetts Review, and The New York Times. In 2010, she received the University of Wales Dylan Thomas Prize for Clamor. Born and raised in Brookline, Massachusetts, Elyse Fenton received her B.A. from Reed College and her M.F.A. from the University of Oregon. She has worked in the woods, on farms, and in schools in New England, the Pacific Northwest, Mongolia, and Texas.